How to watch Arrow: Season 1: Burned on Netflix Denmark! Yes, Arrow: Season 1: Burned is now available on Danish Netflix. It arrived for online streaming on October 4, 2017. We'll keep checking Netflix Denmark for Arrow: Season 1: Burned, and this page will be updated with any changes. 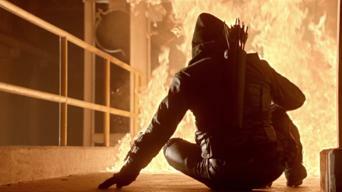 After the Dark Archer defeats Oliver, he loses confidence and takes a break from being Arrow -- until Laurel needs help probing a firefighter's death.